Boys in 4th and 5th have been busy gardening. 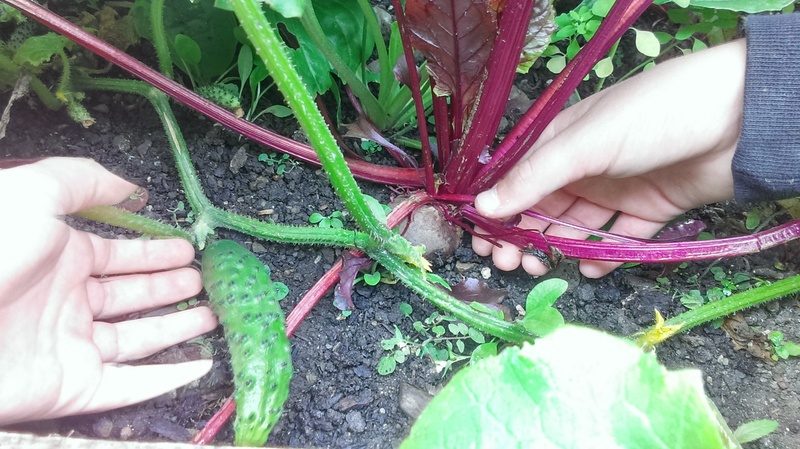 With good growing conditions all summer (warm but not too dry) a bumper crop of potatoes, corn, pickles, lettuce and rhubarb has been harvested from the school garden. Cabbage and kale has now been planted. They should survive any cold weather and grow slowly through the winter. Our school football teams have been playing the first round of the Cumnn na mBunscol leagues this week.